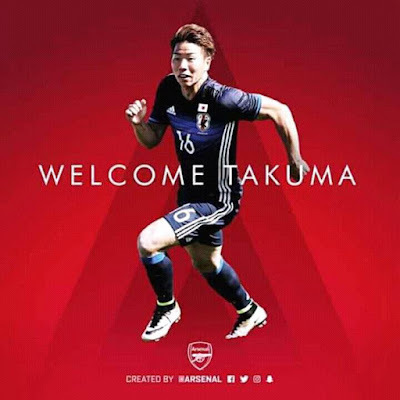 Arsenal have secured a deal to sign Japan striker Takuma Asano from Sanfrecce Hiroshima. The Gunners confirmed on Sunday that a deal has been agreed in principle "subject to the completion of a medical and regulatory processes". 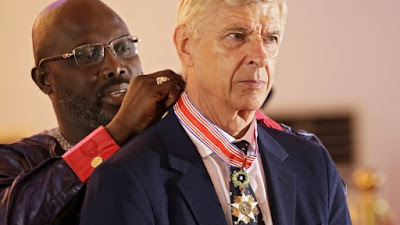 Arsenal did not give any details over the length of deal that has been agreed with Asano, but manager Arsene Wenger was delighted to land the 21-year-old. "Takuma is a talented young striker and very much one for the future. "He has had an impressive start to his career in Japan and we look forward to him developing over the next couple of years." Asano has five senior caps for Japan after making his debut against North Korea in August 2015 and scored his first goal against Bulgaria last month. He has also been named in the country's Under-23 squad to play in the Rio Olympic Games next month. At club level, Asano has largely been a substitute for Sanfrecce Hiroshima. Of his 34 J-League appearances in 2015, 32 came off the bench, while he only started in four of his 11 outings this season. The attacker was named as the J-League's Rookie of the Year in 2015 when he scored nine goals. "I was stunned, but I have the confidence to succeed wherever I go," Asano told reporters when he initially heard of Arsenal's interest. Asano will be Arsenal's second signing ahead of the new season following the arrival of Switzerland midfielder Granit Xhaka. The Gunners missed out on the capture of Leicester City's Jamie Vardy prior to their pursuit of Asano.